Our clawfoot tub packages include everything needed to install including feet, drain and tub faucet. 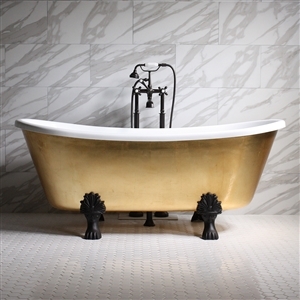 An extensive range of clawfoot tub styles suitable for every bathroom. All Tub Studio bathtubs are exclusively designed and manufactured and all are available with remote blower heated air jetting.